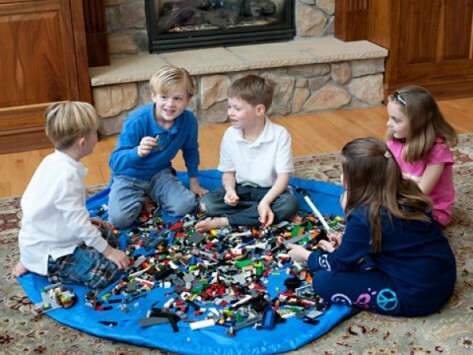 An activity mat, cleanup, storage, and carryall solution in one. Your kids play for hours, but clean up is in seconds. Dimensions (in packaging): 11.5" x 9.5" x 3"
Great to keep the room neat when you have a lot of Legos. Even my 4 yo was happy to see it in action (he’s the one who cleans it). 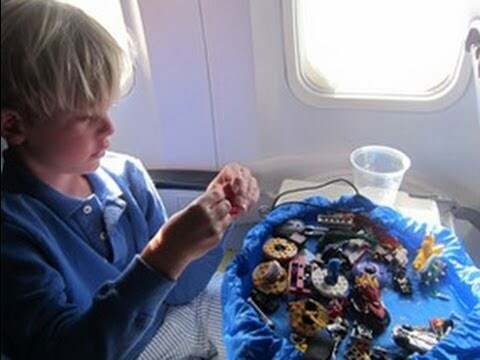 Such a brilliant storage idea for lego and similar items. While it doesn't stack or sit in a cupboard as nicely as a rigid container, the ease of clean-up, containment and transport more than make up for that. We had two large (35ltr) unattractive plastic storage containers full of lego, and now we have just one nice-looking very sturdy navy bag (yes navy - not bright blue as pictured, which I think is preferable), that we can easily tote to whichever room we're playing in and stuff in a wardrobe when finished. No more stepping on toys!